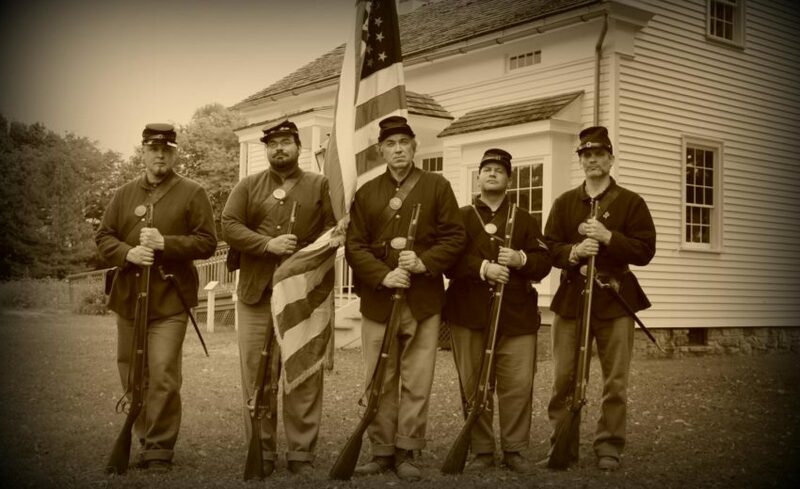 With camps, technology, costumes, musket fire, and interactive demonstrations, you’ll travel back to the year 1863 as re-enactors transform Landis Valley into a Civil War-era crossroads village. Witness cavalry and musket drills, tour the camp, take wagon rides, and talk to civilian and military re-enactors. Kids: participate in hands-on activities and play some historic games. Food will be available for purchase. Hours: 10 a.m. – 4 p.m.
Landis Valley Village & Farm Museum is administered by the Pennsylvania Historical and Museum Commission: Tom Wolf, Governor; Nancy Moses, Chair; Andrea Lowery, Executive Director. The museum works in partnership with the Landis Valley Associates, a registered charitable organization. If inquiring to a specific department or staff member, please select the appropriate department tab. Get news from Landis Valley Museum in your inbox. What skills/talents/experience will you bring to Landis Valley?